It has been quite a while since we last had a post in our series of interviews with various Capitol Hill insiders and so we thought we would dive right back in with an interview with Brett Loper, who serves as the policy director for Speaker Boehner. 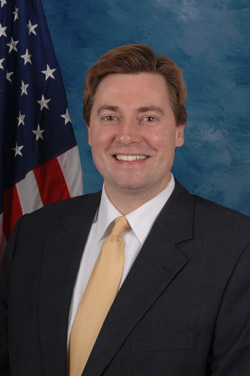 While the distinction of working for the Speaker of the House is unique enough, Loper has also worked in the House Majority Whip’s and House Majority Leader’s offices—both under former Congressman Tom DeLay—as well as serving as the Republican Staff Director for the Committee on Ways and Means. In addition, he served in the Office of Management and Budget under President George W. Bush. As you will read, Loper has an interest and love of American history going back to high school, as well as a clear dedication to government service. I thank Brett for taking time out his very busy schedule to speak to me and I hope you enjoy this latest interview in our series. JH: So, before we get started, just give me your name and your title. BL: Brett Loper, Policy Director for the Speaker (Boehner), which means I lead a team of about ten foreign and domestic policy experts, and serve as a sort of legislative strategist for the Speaker. JH: OK, great. And where did you grow up? BL: I grew up in Jackson, Mississippi. BL: Yeah, and my parents are still there. JH: Not that I know a lot of people from Mississippi, but I don’t detect any hint of a deep Southern accent. BL: Between Villanova and almost seventeen years here, it’s been beaten out of me. JH: Yeah, I imagine. And so you said you attended college at Villanova, but where did you attend graduate school? JH: And what did you study? What was your major in college, in grad school? BL: I was an economics major at Villanova and then I received an MBA from GW. JH: OK, and now this is a question that could apply, I guess, to either high school or college, but what was your favorite subject growing up? BL: That’s a good question. In high school, US history was one of my favorite classes; that was in part because I enjoyed it and in part because I had a great teacher. JH: Yeah, that always helps. JH: Not sure I can remember the names of all of my specific courses either, so maybe just even a subject area. BL: Yeah, I was an economics major and there was some macroeconomic theory along the way. I’m trying to remember…there were one or two courses that were oriented away from the finance side of economics and more toward the public policy side of economics and those were the ones that I enjoyed more than anything else. JH: Great. OK, so now we’re going to get into some of the questions we talked about ahead of time…so favorite historical period, area of the world, and why? BL: I’ve always been fascinated with World War II. Again, I don’t know the inspiration behind it; it may have been that it was recent enough—my grandfather served, both of my grandfathers served in World War II so it may have been that. It may have been the history teacher that I had in high school that made it interesting. It may have been the good vs. evil aspect of Nazi Germany and Imperial Japan versus the rest of the world. But that was a very fascinating period of time to me. Then in addition to the period of the war, there was the Depression beforehand and what America was before and after and how the war was a break point between a very low point in American history economically and a very rich point in American history afterwards. So, anyway, a number of factors but that’s one period of time in particular that I’ve always found fascinating. JH: Yes, always one I enjoyed teaching as well. OK, so had you always planned on working in government and politics or did you kind of fall into it? Basically, how did you end up here? BL: It was some happenstance, some luck, and some interests, so a combination of things. When I was in high school, I was very good at math and my dad had taught me—or tried to teach me—that I needed to have a trade skill, so he encouraged me to try to become an engineer. So I started out as an engineering major in college, and even though I was very good at math I was not very good at physics and it just took a certain mental orientation to understand engineering and it just never really clicked well for me. Eventually, I transferred out and into something that I found more enjoyable, which was economics. While I was at Villanova, I thought that I might want to pursue a Master’s degree and PhD in economics and teach; but, you know, while I was a good student, I wasn’t going to go to MIT or the University of Chicago for their economics program, so I thought well, I’ll come to DC, where you have the economics policy angle. I had always been very interested in politics—never active in it, but very interested in it and it was a common bond between my dad and me, and so, I decided to come here. I thought I wanted to work somewhere in politics, in government, where there was an applied economics angle to the job, whether it be at the Federal Reserve or the CEA [Council of Economic Advisers] at the White House or something like that. When I came, I was literally just trying to find openings, any avenue I could get to find a position. One of the natural places for anyone to start is with their home state congressional delegation, which I did. It was really through an internship, which lasted about two months after I graduated from college that I discovered the Hill, and I literally had no idea what it took to run the place, and I was just fortunate to be in the right place at the right time. A full-time position opened up after I’d been here for two months with one of my home state members and the rest is history, so to speak. JH: Great. Yeah, it is so much about luck in this town, being in the right place at the right time, and having the kind of the dedication to really stick it out and keep looking. BL: Yeah, I think there is a view outside of Washington that it’s a “who you know” kind of thing, and I have found that it’s very different than that. That it’s really more of an entrepreneurial kind of place and you have to really prove yourself and wear out a lot of shoe leather, ask for help. JH: And knowing people can maybe get a door open for you, but then you have to do the rest of actually getting the job and impressing people. BL: Right. You have to do a good job of selling yourself. JH: Exactly. All right, so, especially being in this office I’m sure this is something that definitely comes up from time to time, but how much does history impact your job? Is it something you think about as you go through your job on a daily basis? I mean, obviously Congress is built upon precedent and there’s lots of history behind the speakership, but how much does it really impact your job, how much do you really think about it? BL: Yeah, so, there’s different ways to think about it. You can think about it from the order of the House and how the House functions, and certainly the key to that is the Speaker. The development of the institution, the committees, the rules process, the decision-making process really is maybe the simplest way to put it, because there’s 435 members that are all equally, duly elected, they all serve the same number of constituents, they all have one vote, but somehow you have to find a way to make that system work so you can make decisions and that has developed over the course of the country’s history and the Congress’s history. So there is certainly a lot of that, that’s not necessarily speaking to a historical moment in time for the country, per se, but there is history within the House of Representatives literally just to make the place function, so that’s one angle that I think is one that the Speaker’s office is cognizant of. This may not be the first thought of each day, as opposed to whatever issue of the day is at hand, but it’s always something that’s in the background. I think the other thing that comes to mind, is history from the perspective of what has been tried and what has worked, and that can be in the context of what I would describe as routine authorizations. So you take something we’re literally in the midst of debating right now in the House, a transportation bill, which authorizes hundreds of billions of dollars for federal highway and transit programs and has been something, it was something that Eisenhower pushed when he became President was building the interstate highway system. We did that as a country and it was a good decision and necessary economically, and we have built on that roughly every five years since then. So, there is a history to the highway programs and there are now reasons that the transportation program has transit as part of it, has certain other safety programs as part of it, and has a money formula for money going to the states for certain reasons, etc. As a result of history, there are reasons for why the policy is what it is today. You can go back and look at the history of the transportation program and figure that out and it gives you the opportunity to go back and measure—if Congress is doing its job—the results of what happened for the last five years versus the way things were done for the five years prior or ten years ago or 15 years ago or 20 or 25 years ago, and to make decisions about how we should do the next five years based on that historical data. So, that’s another area. There’s also history of personalities, of members themselves, where their relationships were formed, where they served, or the professions that they were in, or where they grew up, where they came from, what types of families they came from, and all of that has a historical connotation to it as well. These have an impact on the decisions they make and the way that they think and interact with people, the priorities they set for themselves as legislators. So, anyway, I guess the short answer is everything around here in one way or another is connected to history. JH: Well, and I think, other than those who work here, most people probably don’t realize how much history dictates everything that goes on here from procedure in both chambers to decision making and everything. So, OK, anyway, now you’re going to be asked to go into history a little bit here and be a part of it…if you could be any one of our founding fathers, which one would you be and why? BL: Ah, so I’m going to throw you a little bit of a curveball because this person isn’t, per se, one of the founding fathers, but I am a distant relative of Henry Clay. BL: And he was arguably one of the most notable legislators in history, serving in both the Senate and the House, and was the Speaker of the House early in his tenure and really modernized the speakership. When he became Speaker, it was a purely parliamentary responsibility, and he arguably turned it into the office that it is today. He was the one who said, “we’re going to start creating committees,” and “I’m going to start referring bills to committees,” and “I’m going to use my power to recognize people to speak,” and “I’m going to use my power to recognize what legislation comes before the House.” So, he really defined the speakership in a new way, again, so that he put it on its way to what it has become today, and because of that family connection and because of his role here, I’d put him at the top of the list. JH: Now, when you were applying for this job did you drop that family connection in there or not? BL: No, in fact the only member that I’ve mentioned this to is Senator McConnell, who is of course from Kentucky and has Henry Clay’s desk in the Senate, and a couple of portraits of Clay in his office. BL: Oh Jeez, well (long pause)…oh man, there are just so many. JH: I will say that the John Quincy Adams having a stroke at his desk in the House chamber and dying there two days later has been mentioned already (laughing). BL: (Laughing) OK thanks that’s helpful. I’m hesitant to pick a moment or story that I wasn’t here for, but I’ve been here long enough to have seen some things that are neat. BL: I wasn’t a part of this, but being here for—and this isn’t something that is actually positive—but being here during Clinton’s impeachment in ’98 was a unique event. Obviously it has been written about, will be written about, but it was a really unique and in some ways a very dark time in our history. Things were going very well in our country at the time and the economy was doing well and the threat of terrorism was not yet really upon us. But there are other times, and probably the neatest thing I’ve experienced, I was actually not an employee of the House at the time. I was working at the White House, and following September 11th, President Bush came up [to the Capitol] to give a speech six or seven days later, and I was able to—I mean I totally tricked my way into it—but I was able to get into the caravan that came up from the White House. It included various people that were sitting in the gallery; there was, I can’t remember the name of the Cardinal at the time, but he was the head of the Archdiocese of New York and he was in the car, or the van I was in, but I was able to catch a ride up and was able to be on the House floor for that speech, and it was just a really, obviously a wrenching time for the country, all that going into that time period, just really was one of the unique opportunities I was able to witness first hand. JH: Wow, talk about being a part of history, or witnessing history, for sure, yeah, that’s great. Good. All right…let’s get a little happier now (both of us laughing). BL: I mean, I could tell some jokes about members and stuff like that. JH: Yes, I imagine there are many (laughing). BL: Not sure it’s good for a blog publication (laughing). JH: No, I wouldn’t want you to do that (laughing). BL: But I would say it really is one of the neat things, the way that members interact with each other, particularly when they’re on the floor of the House. Congress has had a bad reputation since its founding, but in times when public confidence in Congress is at a low, it’s harder to imagine, to put yourself in their shoes and to imagine what it’s like to be a member of Congress, because they have to be “on” all the time—when they’re in the grocery store, when they’re in church, when they’re at home, when they’re picking their kids up from school, when they’re walking around the streets of Washington. So, what’s kind of neat is being on the House floor, which is, oddly, a time where they can be more themselves than almost any other time, where they almost don’t have to be on because they’re just, they’re just hanging around their peers and it’s fun to watch the little things. Like the way that they sit on the Floor—and there have been various newspapers that have written about this—it’s the same way that kids in high school choose where they’re going to sit, and they sit in the same seat every day when they go to class, whether it’s math or English or science or whatever, and the Members do the same thing. It’s just human nature, and it’s funny to watch that behavior pattern where the same members, sit in the same seats. I know where the Louisiana delegation is going to sit, I know where the Kentucky guys are going to sit, I know where the freshmen are going to sit, you know, and I can just think through where they all are. JH: That’s so funny…do a lot of them sit by state delegation? BL: It definitely, like I can think of, the Texas delegation, I can picture their seats, and I can picture the Louisiana, Mississippi, Alabama guys sitting together. Hal Rogers has a little area and all the Kentucky guys around him. Then in the back I can see some of the Ohio and Pennsylvania members, and on the other side of the aisle they have the same sorts of things. One of the most famous of those was Jack Murtha who held a corner in the back for decades, literally, and was just always back there holding court. JH: I love stories like that…that’s great. All right, staying in the Capitol, what’s your favorite part of the Capitol? BL: Hmm, you know, I don’t think anything can beat the Speaker’s office, I mean where Boehner actually sits. I was fortunate enough to work in the Majority Whip’s office, the Majority Leader’s office, and the Speaker’s office–and I was able to sit in meetings on a weekly basis when Hastert was Speaker, in his office. Now I get to do it on a daily basis with Speaker Boehner, and it’s really just, it’s not enormous, it’s not that it’s lavish, it’s simple and elegant and has the best view of Washington. There’s just something about the balcony being right there and being able to see down the Mall, you know, it’s just one of the neater rooms in the Capitol. JH: I bet. 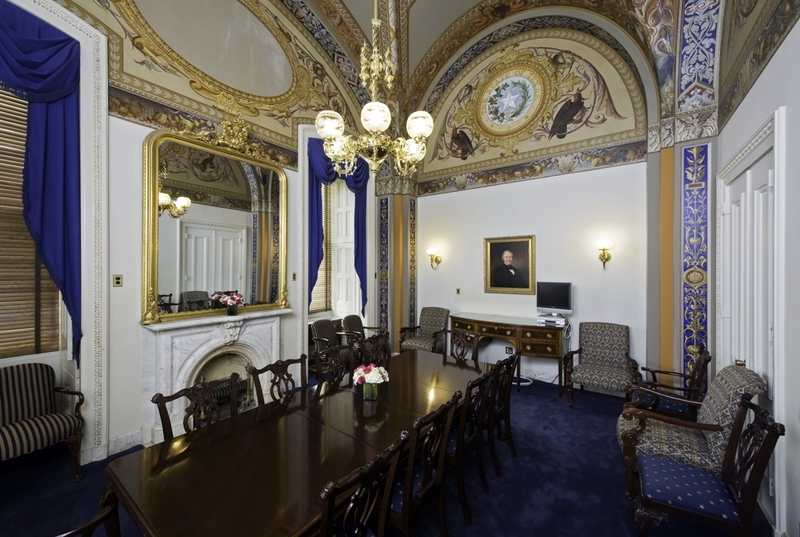 I’ve seen Kevin McCarthy’s office. It’s a whole GW story…Jeff Shapiro, Adrian Smith’s chief of staff, was able to, during a recess, arrange for us to have class in the Majority Whip’s conference room, and a few of his staff members were talking to us about a few things and at the end, before we left, they let us just take a look in McCarthy’s office, and so, but it’s big. BL: Yeah his is actually bigger. JH: Yeah, the whole suite is nice, and I’d never seen anything like that before so it was fun. But even just the history of being in the Speaker’s office must be pretty neat. Anyway, this is kind of playing off of a little of what you’ve said already, but what does it mean to you to work in the Capitol, to work for the Speaker, you know, purely from a historical point of view, nothing to do with partisanship, just what does it mean as an American who has always loved history…you worked at the White House, you’ve worked at a lot of places on the Hill and in government, what does it mean to you work in this building and to work for the Speaker? BL: Yeah, well, you know it’s obviously an incredible honor. As colorful as our political system can be and the colorful characters that can be in it and the emotions it can engender, it’s still, almost without debate, the finest system of government ever designed. So to be in the office that leads the legislative branch—the Speaker is sort of seen by virtue of being third in line for the Presidency—so to have the opportunity to serve in his office is obviously quite an honor. It’s also the ability to be, I don’t think of myself as any brighter than the next person—obviously I was able to go to college and have a Master’s degree and that kind of stuff—but the fact that someone as normal and who comes from as normal a family as I do, you know, with no special connections or anything like that, but just to find an interest in this and be able to make my way here, it makes me proud of my country and makes me proud of the institution. It says something positive about our country’s institutions if normal people like me can serve in a job in this office—and I can assure you that everyone in the office, almost everyone in the office comes from some very normal, not normal as in boring, but from typically American families. So, it just speaks to the wonderful system that we have for those types of people to find their way here and to serve their government and help the current leaders of our country make some of the same wise decisions that the former leaders of our country have made along the way to make us the great country that we are. So, I’m proud of it and obviously very humbled by it. JH: OK, great. All right, to kind of switch gears here a little bit, do you think that history, I mean, I know that education is important to your boss and that it’s important to most people, hopefully, but do you think history is emphasized enough in schools today and, whether you think it is or isn’t, why do you think it is important for students to study history? BL: That’s a good question…I guess I would answer it this way, I think that question could quickly lead into a discussion of how history is taught, or whether or not our school systems are rigorous enough in teaching history and those kinds of things, and that’s certainly open to debate. Certainly there are some high schools and some school districts that have phenomenal high school teachers and phenomenal offerings for history and AP courses and such. To me, I guess I’d answer your question a little bit differently: history is necessary for a student because it provides balance. In my view the most capable people professionally, and as members of society, are the ones who are well-balanced in whatever they do—well-balanced in family versus profession, well-balanced social-life vs. family vs. profession vs. community service, etc., and educationally I think the same thing applies. So, in order for the country to continue to develop and learn from mistakes that are made along the way–because the country collectively is just as capable of making policy mistakes as an individual or family–history is important.The learning from the mistakes of history so that we are better the next time I believe is critical. So, I don’t know, I guess I do at times fear or worry that that balance, that ability to maintain not just the language, the science and the math, but also history, the knowledge of history, you know, it does worry me that at times it sort of lapses and is viewed as less important than the others. JH: Yeah, I agree. OK, so one last, kind of culminating question, and again you’ve kind of peripherally touched on it, but if you were trying to inspire the next generation of young people to want to come and work in government and to want to give back to their country in the form of service to their government, how would you frame that argument? What would you say to really inspire them to want to do that? BL: I’ll tell you a couple of things. One, I’d say to a young person who is graduating from college and looking for what they would like to do career-wise or to develop professionally and have that first “real job” experience, there’s no more fun of a place to work than here. Actually, I’m sure there are more fun places, maybe the NBA or NFL is more fun (both of us laughing). There’s no more fun of a place that a respected, solid student with good all-around qualities can work than here. It’s a great place to work because with 435 members of Congress representing every nook and cranny of the country, plus 100 Senators representing all fifty states, there are staff that are coming here from everywhere. So you meet people and they’re all young and they’re bright and they’re energetic and they’re go-getters, and so that just makes for a wonderful environment in which to work. Second, it’s something new every day. It might be policy and politics, but you may have the King of Jordan in here one day and an Oscar-winning actor the next and the CEO of a Fortune 10 company the day after that. You just never know whose path you’re going to cross. JH: (Laughing) Spoken like a true 7 or 8 year old. BL: (Laughing) Yeah, exactly. But that sort of crystallizes it that you’re representing these now 700 to 750,000 people and by extension the staff are as well, so there’s nothing more noble than trying speak on behalf of them, to try and determine where their tax dollars are going to go to and how to defend their freedoms and liberties and all that kind of stuff. Anyway, again, between the sheer fun of it, the challenge of it, the diversity of the people, the diversity of what you get to do on a daily basis, plus the nobility, it really is a unique and wonderful place to work, and I would suggest, for all of those reasons that even if you only work here for a year or two years, it really does create the opportunity for professional development down the road. I again want to extend a very sincere “Thank you” to Brett Loper for setting aside time in his always busy schedule to talk to me. Being able to talk to someone who is a true veteran of Capitol Hill and who has been around to see quite a bit is always a fascinating and insightful experience for me and helps me to better understand the all-important role played by those behind the scenes. It is also nice to get to hear from both members of Congress and staff members in this setting—outside of politics and partisanship, merely speaking about the important role that history plays in their work and positive impact they try to have upon the lives of Americans on a daily basis through their jobs. I hope you enjoyed this latest in our interview series, and that you continue to stay tuned for additional interviews in the months to come. As promised, here is the second part to my sit down with Congressman Jason Altmire, third-term Democrat from Pennsylvania’s 4th district. If you enjoyed the first half of the interview, my guess is you’ll like the second half even more, as it is filled with some fun and interesting historical anecdotes. The Congressman’s devotion to history as a means through which to view and solve our current problems is a model that should be used by more elected officials, business leaders, and the like as we continue to navigate our way through the rapidly changing and often challenging 21st century. I again thank the Congressman for his willingness to sit down with me and share some of his insights about how history impacts his job as a member of the House of Representatives, as well as some of his favorite stories about Congress and the Capitol. I hope you enjoy the conclusion to his interview, as I believe you will. JH: So, how much do you think history impacts your job, if at all? Congressman Altmire: Well, every day. It impacts the precedent, it impacts the process, it impacts the way we all think about it. The issues continue to reoccur. So, always. JH: Right, good. So, who held your seat before you did? Congressman Altmire: Melissa Hart was a three-term Republican member, and before that was a guy named Ron Klink. I could give you others before that, but Melissa Hart is who I beat in 2006, and then in ’08 she ran against me again. JH: OK. Is there any historical significance to your particular district or your particular seat that people aren’t aware of? Congressman Altmire: Well, I think there is a historical significance to the 4th district; it’s a technicality, you understand, but James Buchanan, when he was in Congress, represented the 4th district (of Pennsylvania). Now, it was a different part of the state at that point, but it was still the 4th district. So, if you look at a list of predecessors in the number four, he’s one of them, and so I like to make the claim that I hold seat the Buchanan did. JH: As you should (laughing), good. Alright, so, I’m going to make you the high school history teacher for a second… if you were asked to teach a lesson, it could be history or government, but what period—and you had mentioned your favorite period—but what kind of a lesson would you teach and why? Congressman Altmire: You mean unrelated to Congress, just history in general? Congressman Altmire: How about if I phrase it this way—if I was to get a PhD in history and do my thesis or dissertation, I would do it on what we talked about with the Federalist Papers and the sort of lack of understanding of the dialogue. You start with the Philadelphia convention, which everybody knows, and Madison’s role in 1787. But then it goes to the states and all of the state capitals had these debates on the Constitution—and it was those same factions—and lastly the national debate with the Federalist Papers. I don’t think that story is well understood in history. Congressman Altmire: …I should have thought about this, but on July 4th, I did an op-ed for our local paper on the Declaration of Independence and the travels it has made over time as a physical document. So it’s not the history or the theory behind it, but just where it’s been in the past 200 plus years. It [the op-ed] was in the Pittsburgh Post-Gazette if you want to pull it up and look at it…you just might be interested in it. Congressman Altmire: I did an open house—they had one for us members at the Archives—and they put out all of these documents and the Declaration was there. It just occurred to me, you know, “ok here it is, how do we know, you know, what happened between 1776 and now,” and he [the guide from the Archives] said, “well, I’ll give you some information,” and he gave me this huge document on all of the places it’s been, so, yeah, it’s a great story. JH: Yeah, that’s great. And that’s something that people don’t probably think about when they think of the Declaration. Congressman Altmire: No, and it’s really interesting how it was mistreated over the years. Congressman Altmire: They hung it for 35 years across from an open window with direct access to sunlight in just a glass frame, and that’s why it’s so faded now. JH: Yeah, I’ve gone there [the National Archives] a few times and it is just so tough to actually see it because it’s so faded. JH: I’m sure the poor people at the Archives shudder to think of that. OK, so since you’ve been a member of Congress, what’s your favorite congressional anecdote or story of congressional history that you’ve heard? Congressman Altmire: Yeah, there are so many, but the one I tell on—I’ll give Capitol Tours, right? This is one, so it might not be my favorite, but this is a good one, and it is that Rayburn “Board of Education” room…you know that room? Right underneath on the first floor (of the Capitol). Congressman Altmire: So, there’s all kind of, I’m a big fan of Lyndon Johnson, so I’ve read a lot about him and he spent a lot of time in that room, which is interesting in and of itself, but the story I tell about that room, which you probably know, is the time Harry Truman came in; he was Vice President, and he had just presided over the Senate. So he walked downstairs and walked all the way across and walked in the room and they said, “Hey Harry, you have a phone call from the White House—it sounds pretty important, you ought to call them back.” So he picks up the phone and he calls back and he just turns, according to the people in the room, he just turns ghost white and says, “I’ll be right there.” He hangs up the phone, he says, “I gotta go,” he turns and he runs. They could hear his heels clicking because of the marble floors as he was running into the distance, fading, and then he makes the right turn to go out and gets into the car and he goes to the White House, and they greet him as Mr. President. And you think that that moment occurred in that room right there, and we walk past it every day. That’s a pretty significant moment in American history. JH: Yeah, that’s a good story. Congressman Altmire: And also the John Adams story or I mean Quincy Adams, John Quincy Adams, and the spot where his desk was when he collapsed. JH: Yes, that’s an often-cited story, and certainly a good one, and one I like to tell for sure. Congressman Altmire: And if you, especially late at night cause we can walk through after the tourists leave, and it’s just quiet, nobody around. And so you walk past that old Senate chamber you can hear the echoes of all of those folks we mentioned. JH: Wow, yeah, sure. What’s your favorite part of the Capitol building? Congressman Altmire: Hmm…Well, just as a citizen I’m sentimental to the House chamber just because I’ve had a wonderful experience there; but I would probably say the old Senate chamber or Statuary Hall because that was the House chamber. When I first got here, December of 1990 was my interview for the job that I started, and security, of course, was different then and you could walk around. It was around Christmas time, so no one was around and I remember as a 22 year old, walking into that Statuary Hall for the first time and looking at those statues, and you can see them and you think about the history. I like the current statuary hall too, not just the history of it but the significance of the different eras that are represented there. And you have people like Jefferson Davis who many people would say probably doesn’t deserve to have a statue, but he’s there because that’s who Mississippi chose. And you have Huey Long, and you have Hannibal Hamlin, and all the different parts of history there. Congressman Altmire: Just on the last one because this is a good thing if you haven’t done this. Outside the House chamber on the side that is closer to the Rayburn building, not the side that comes out towards the Library of Congress but the other side, there is a bust of an Indian, an American Indian, and he’s looking up, and he’s bronze I guess, and he’s looking up, but he’s got a very sad sort of look on his face. And when you turn around and look at the big picture that’s on the wall [that he’s looking at], it’s of the expansion of the American West (the painting is titled, Westward the Course of Empire Takes Its Way, by Emaneul Leutz), and it’s kind of a hat tip to the fact that we didn’t handle that situation as well as we should have. JH: Oh, wow…I never knew that. Congressman Altmire: Yeah, and the Capitol has so many of those things that you would never know when you walk by. But it’s an acknowledgment, an overt acknowledgment that, you know, that we understand that this is part of our history. JH: I never knew that…that’s great. Congressman Altmire: Check it out the next time you’re in the Capitol. JH: Yeah, I definitely will, thank you. And so, like I was saying, just thinking about what, in terms of, you know, we’re talking about history here, when people look back upon your years in public office, what is it that you hope stands out to them or that they’ll say about you. Kind of like, how would you hope history will judge you, I guess. Congressman Altmire: Yeah, well, I would want them to know that I served my district first. These are momentous times, so who knows how history is going to write about this period that we live in, but just that I was here, that I was a part of it, and there have been some big issues that I’ve been pretty heavily involved in like the health care bill last year, we played a pretty big role in that. Pennsylvania, and our area in particular were very important in the presidential primary in 2008, so as a super delegate we played a pretty big role in that too. So there’s some things that I think maybe, in a very small way, we influenced history in this period. JH: Yeah, well, no matter happens you’re down in the books. JH: Great. So that’s it, and I don’t know if there’s anything else you want to add, but that’s all I have. Congressman Altmire: No, I think we’ve covered it. JH: Great, thanks so much. If you’ve been following our blog regularly (we hope you have been, but if not why not start today?) you may have noticed that prior to the holidays I wrote and posted a story about the Rayburn Board of Education room referenced by Congressman Altmire in his interview and have subsequently obtained a photo of the room, as it currently appears, from the AOC’s office that I included in this post. That room, as you now know, certainly has some fascinating history that took place within its walls; as we often like to do here, we turned one interesting piece of a larger story into its very own blog post and research project as was done here with the Board of Education room, and for which we will be doing the same next week when we post a story about the bust of the Native American and the painting that the Congressman had referenced as well…be sure to stay tuned for that! In the meantime, I hope you enjoyed this latest interview in our “Insider’s Guide to Capitol Hill” series, and be on the lookout for more conversations to come in the future. If there is someone specific you would like to hear from, please let us know and we will try our best to accommodate your requests. If you have any insights or comments to share, again, we welcome the feedback. A final thanks to the Congressman and his staff, and be sure to keep reading our posts! In addition to my work here at the U.S. Capitol Historical Society, I am also a graduate student at George Washington University’s Graduate School of Political Management, pursuing a Master’s in Legislative Affairs. This program has afforded me many wonderful opportunities thus far, including the chance to learn from long time Hill staffers (not to mention a Congressman, Rep. Adrian Smith of Nebraska, who co-taught one of my courses last spring). I am continuously amazed at those House and Senate staffers whom I have met and learned from so far, as they really are the glue that holds Congress together. They work extremely long hours, often for incredibly low pay, and for the most part they are doing it because they believe in government service and know that the roles that they play, though generally unseen, are vital to the function of the legislative branch and our nation. They do the research, answer the correspondence from constituents, they run the errands, they write the speeches, and in many cases draft the legislation; without them Congress would cease to function (and it does function—sometimes better than others—but it does function, regardless of what is often portrayed). Given the important role played by staff members at all levels in Congress, and given the fact that I have unique access to some of those staffers, I thought it would be interesting to interview one of them to discuss their job, how they ended up in DC, and how aware they are of the history of Congress as they go about their daily business. Rodney Whitlock, the Director of Health Policy for Senator Chuck Grassley (R-IA), is currently one of my professors at GSPM (this is my second class with him), and he graciously agreed to be the first volunteer in what will hopefully be a series of such interviews I’d like to conduct with both staffers and members of Congress for our blog. He and I sat down on Friday, November 18th for a one-on-one chat, and I think you will find his answers both interesting and entertaining…enjoy! JH: What is your name and title? Adjunct faculty member in both George Washington University’s Graduate School of Political Management, and in the Department of Health Policy in GW’s medical school. JH: Where did you go to college (undergrad and graduate) and what did you earn your degrees in? RW: Undergraduate was Roanoke College in Salem, VA and I was a Political Science and International Relations double major. I got a Master’s in Political Science from Appalachian State University in Boone, NC and a PhD in Political Science from the University of Georgia…Go Dawgs. JH: Were you always interested in working in DC and in government/politics? If not, what had you originally intended to do with your life and how did you end up here in DC? RW: No, I didn’t plan on this path…I had planned on being in my 20th year on a faculty of a small college somewhere in America by now, but there were no jobs in that field at that point. It was during the first Bush (George H.W. Bush) recession and so faculty members who should have been retiring at that point didn’t, and so I volunteered on a congressional campaign; when he won, he asked me to come with him to DC, and I couldn’t figure out a good reason why not to go, so here I am. My first job in DC was as this congressman’s (Charlie Norwood) assistant and was his go to on just about everything and then I moved over exclusively to health care. I eventually moved over to the Senate Finance Committee where I worked for Senator Grassley and then I moved here to his personal office. JH: What is your favorite kind of history and favorite historical period? RW: In thinking back to my undergraduate history courses, I always found World War Two history to be most interesting. Also, post-WWII America, which flows somewhat into what I’m teaching now. I had a professor of history in college who used baseball as a metaphor for post-WWII America and the changes it underwent. All the baseball teams in 1946 were located in the upper-right hand corner of our country…the St. Louis Cardinals and St. Louis Browns were as far west as teams were then. There weren’t any southern teams either. But as things kept developing across the western and southern parts of the country, more baseball teams sprang up too. I always enjoy the use of metaphor and analogy as a teaching tool because it makes better sense in my head, as well. JH: Yeah, when I was teaching I always tried to incorporate metaphors and anecdotes as often as I could because it helped my students make those connections too. Great…OK, next question. How conscious are you of the history of Congress in your job? RW: Because this body is built on precedents and precedents are a part of history, you can’t possibly ignore it. That is something that on that level, none of us get very far away from the history, if you are defining it in those terms. There’s a George Santayana quote that is a good way of putting it: “Those who do not remember the past are condemned to repeat their mistakes.” I’d like to think a lot of us here keep that in mind…because it’s what we do. Very little new goes on here…it’s all built off of what previously happened and if you don’t pay attention to that you’re going to make the same mistakes. Since 1980, the Democrats have held the House, Senate, and White House (simultaneously) for only four of those nearly 32 years—two year stretches twice. I think that the two year limit they ran into were both under very similar circumstances. And I don’t think I’m being partisan with that, more like stating relative fact. The other thing on the historical side that you can’t miss in this joint is that every member is in a line behind someone else who used to serve here before them. Every desk in the Senate was sat in by somebody else. This place…I described this to my brother’s in-laws in Canada. I described it by saying that I work at an active museum—this is both an office and museum all at the same time. You have to have serious blinders on not to realize that. You guys (meaning USCHS) do a great job…I was wandering over to Rayburn one day to meet someone and they called to say they were going to be late, and so I started to wander the hallways of the Capitol more slowly and looking at some things along the way. There was a photo of a dirigible landing on the East Lawn. But the dome is still the same dome and the staircase is still the same staircase. I’ve traveled to Japan and I was struck by the “oldness” of things there. There are places there where you have centuries of undisturbed history—not so much in America. But this, the Capitol, is one place here that you have that level of history. You don’t have that in most other places in this country. You have to actively try to ignore the history here to miss it. JH: Now you have kind of already touched upon this next question with the answer you just gave, but how do you, for a lack of a better word, “interact” with history on a regular basis in your job? RW: Inasmuch as you respect the history, you know the history, I think it’s something that helps you focus on what you do. You don’t want to be a tourist in your own job. You don’t want to be wrapped up in your own supposed self-importance that you lose touch with what you’re doing here. It really is something to see the paintings of Clay and Calhoun and La Follette…all the people that came before us. The focus is that just because you’re doing this, it doesn’t make you important. People have done this for decades even centuries before you, so just shut up and do your job. It helps you refocus on what you do which is important, I think, not who you are. JH: Alright, so, what is your favorite story or anecdote about congressional history or a congressman that you’ve heard since coming to work on the Hill? RW: OK, so it was the Patient’s Bill of Rights days, probably sometime in 2000, and we were sitting in the Speaker’s lobby getting ready to go into a meeting. I think there was a “day which will live in infamy” photo on the wall there that started a conversation. And so John Dingell pipes up that he was on the floor of the House for that speech by FDR and I was like “no way…holy cow.” It’s that kind of connection where you have this historical lion of the Congress and the most important event of the 20th century—the bombing of Pearl Harbor leading to our entry into WWII—and that connection is right there in from of you…it’s absolutely jaw-dropping. JH: Wow, that’s awesome. We just gave Dingell and Inouye our Freedom Award last night [November 17th] and they both spoke–it was great. OK, what is your proudest moment working in government? RW: For me, it’s every day. That if you believe that the job we do here is service, and you’re doing something to make the world better—and this can mean the world at-large or the world of an individual—that even though I may not succeed every day, but I at least come to work trying to achieve the goal of trying to make somebody’s world a better place. A very specific moment that I’ll throw out…the day Norwood (Congressman Charlie Norwood, R-GA) passed away. I walked over to his office to join my former colleagues in mourning. And while I didn’t actually work for him anymore, there was somewhat of a chaotic situation there, I picked up a ringing phone and said, “This is Charlie Norwood’s office.” Just because I was part of something in his 12 years in office, it was just something…I think we, we had a lot of good times together. There was just some level of closure for me, having been there on day one, answering the phone, and then doing it there again an hour after he passed. JH: I really like that story…thanks. OK, last one…if you were trying to inspire young high school and college students to come to work in government, what would you tell them? Especially since so much of the media coverage of Congress tends to focus on the negative and the hyper-partisanship rather than on anything positive, which could serve to turn some of them off from wanting to pursue such a career down the road. RW: I do think there is, I mean, the core concept here is service. From the members to the folks answering the phones, we are all serving in a representative government. And no amount of barking and yelling that you will see and hear on CNN, FOX, or MSNBC makes this place any less of a representative government than it was during the 1st Congress. So, if you believe in service and you want to be involved in public policy, turn off the TV. JH: (Laughing) Yes, I’m sure that would definitely help! Well, that’s it, thanks so much for doing this. I really enjoyed getting a chance to sit down for a one-on-one interview with someone who has basically seen it all in his years on Capitol Hill. I was very intrigued as well as inspired by many of his answers; I found him to almost be reassuring at a time when it does become all too easy to only see what doesn’t work or what is wrong with the institution of Congress, rather than the good it does on a daily basis, exemplified by the work done by Rodney Whitlock and the tens of thousands of hard-working staffers just like him. Hopefully, you have all enjoyed this exchange, and I hope you found it both entertaining and insightful. Congress is an institution, and as such it requires far more work and man power than just the 535 members of the House and the Senate in order to carry out its daily business, something that can be too easily forgotten these days. Please feel free to share your thoughts on this interview and any other ideas you may have for future ones. 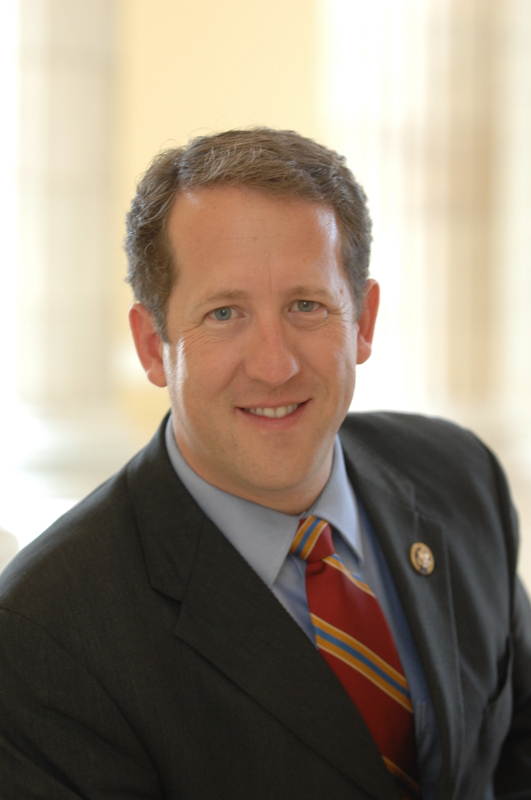 Next week, we’ll be posting an interview with Congressman Adrian Smith (R-NE) as the second in this new series so be sure to keep an eye out for that.